This month saw me hosting a panel at Emerging Writers’ Festival, Where Do You Write, which went swimmingly. There were Auslan interpreters there, which was fascinating. I’d love to learn more Auslan as I only know a few basic signs. 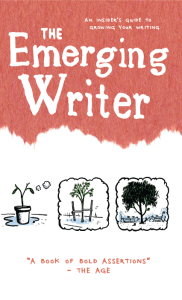 As I posted about earlier, I’ve been published in The Emerging Writer this year, and will be at the launch of the publication if you’d like to come along and learn more about this fantastic book. After another inspiring conversation with Courteney Hocking (where would I be without that girl) I have an exciting new project I’m currently dreaming about, which is starting to take form in my head. It’s about feminism and words, two of my favourite things. More news on that front soon. Over at Express Media next month is National Young Writers’ Month, my favourite month of the year. Lots of news, competitions and support for young and emerging writers. Check it out. Here she is, in all her glory, the 2013 edition of The Emerging Writer. Isn’t she pretty? I’m excited to have a chapter published in the book this year, talking about how vital community is to emerging writers and why it should be the focus of our energy rather than networking. It’s a pleasure to be featured in the book, especially alongside such talent as Penni Russon, Alice Pung, Shaun Tan and Zoe Dattner. 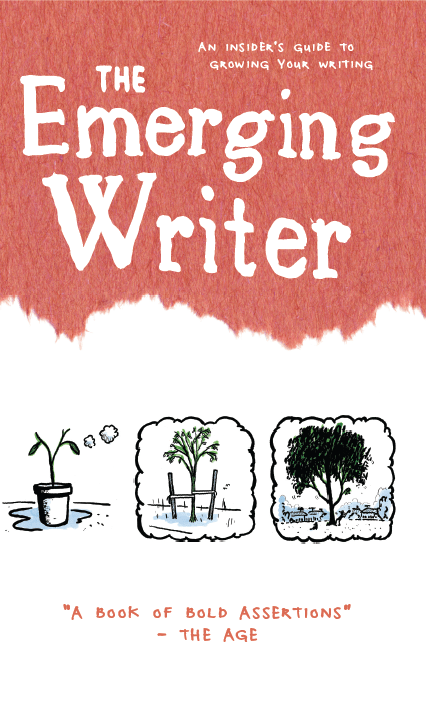 You can learn more about The Emerging Writer, including where to find a copy to make your very own , at the Emerging Writers’ Festival website. Even better, come along to the launch on Thursday 30 May at the Fitzroy Town Hall. Bookings here.